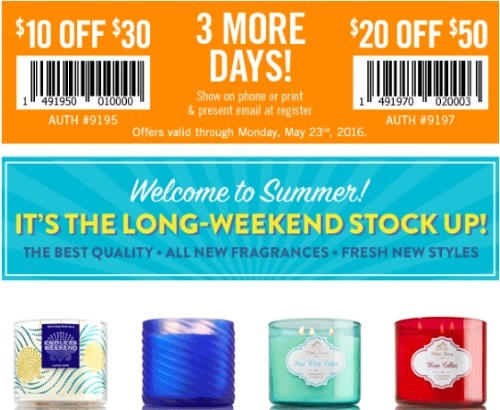 Bath & Body Works has a new coupon that you can use this long weekend! Save $10 off any $30 purchase or $20 off when you spend $50 or more. This coupon is valid until Monday May 23, 2016. To use the discount just print the coupon or show it on your smartphone. Look for the coupon from their newsletter in your email or you can also get it at the link we provided below.